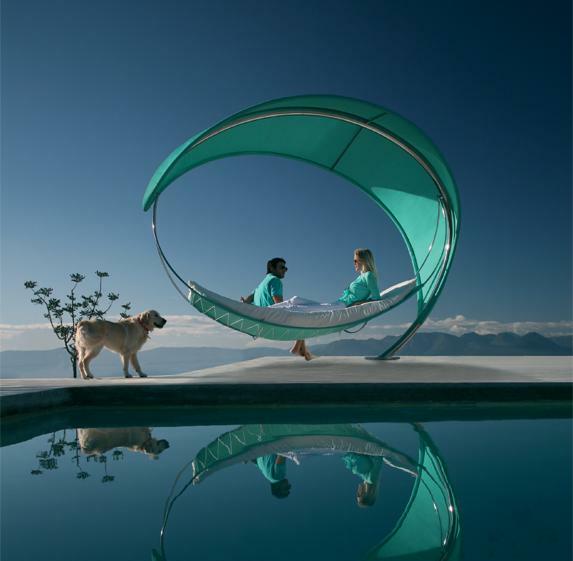 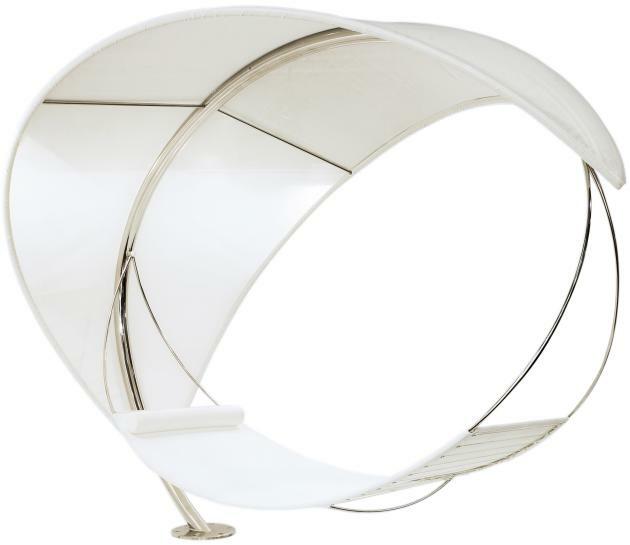 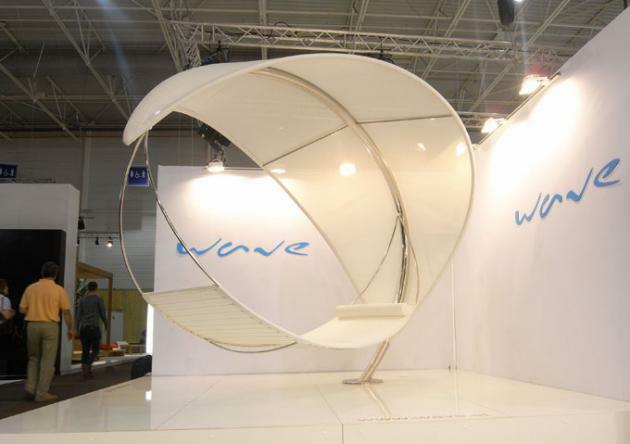 Swedish designers Erik Nyberg and Gustav Ström created the WAVE Hammock for Belgian outdoor furniture manufacturer Royal Botania. 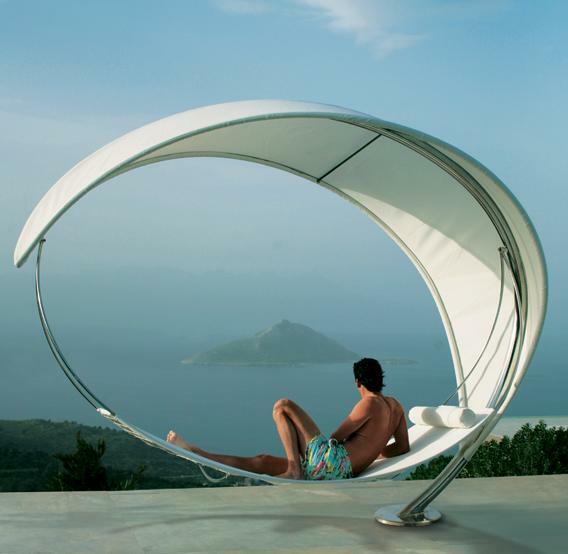 The idea is to convey the feeling of lying underneath the canopy of a tree, surrounded by a defined, natural space, forming both a sculpture and an inviting and luxurious outdoor furniture. 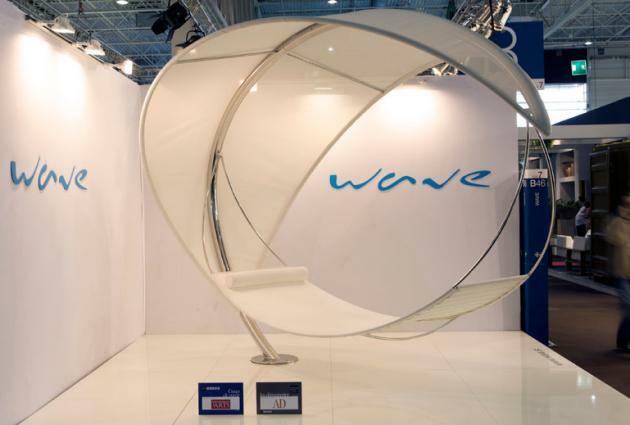 The materials in WAVE consist of electro-polished stainless steel and perforated fabric, one type for the upper roof section, and another for the lying section. 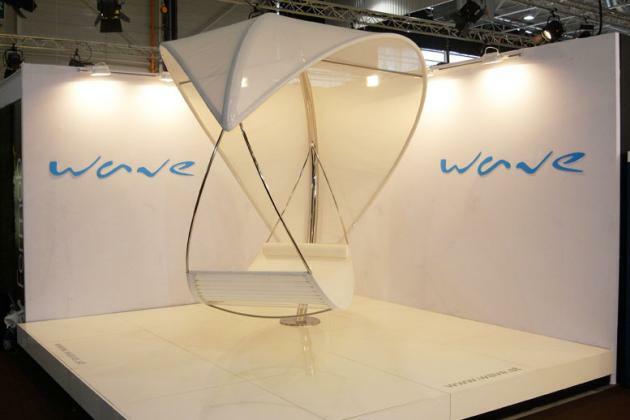 The fabric is semi-transparent, and at the same time it offers protection from the sun, blocking 86 percent of the sun’s rays. 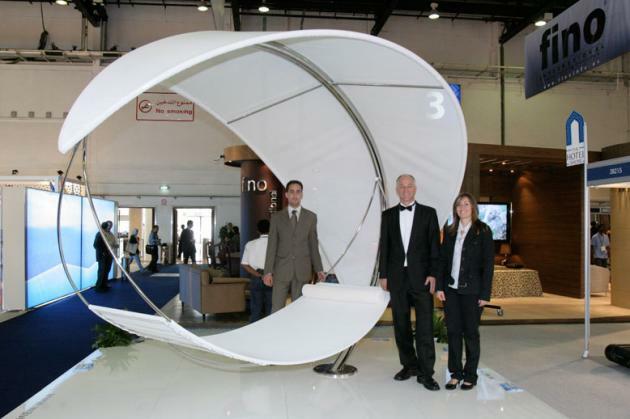 Visit Royal Botania’s website – here.